Tonight’s game is a case study of two teams going in complete opposite directions. The Toronto Rock host the Vancouver Stealth tonight at the Air Canada Centre, but the rest of the season may just be a formality for the East Division leading Rock. Toronto sports the best record in the league at 11-4, but Vancouver has lost five straight, allowing the Calgary Roughnecks to overcome an 0-6 start to the season and get back into the thick of the playoff race. Of course, the Stealth made a big trade to ship out Johnny Powless for hometowner Logan Schuss, and that’s worked to fill the net on the offensive side of things. But general manager Doug Locker is surely seeing the effects of having inadequately filled their goaltending depth. Ontario product Eric Penney looks set to start his third straight game as Tyler Richards will sit out once again due to injury. At the very least, the Rock have locked up a home playoff date, but they’ll likely see the opportunity to extend that home floor advantage throughout the playoffs and a chance to stay ahead of the Rochester Knighthawks. Not that the Stealth were going to get any favours either, but Vancouver will take anything they can get at this point. Head Coach John Lovell acknowledged this isn’t the same Stealth team as they saw in Vancouver’s home opener back in January, but it’s not that far removed. They’re marginally better offensively, the defense still allows far too many quality scoring chances and the Rock should be primed to pick Penney apart. These are the types of games that Toronto can’t give up if they’re going to be one of the contending teams. Their second half in the first meeting was spectacular as they went on scoring runs, completely frustrated the Stealth offense and got quality goaltending to boot. Kevin Crowley will suit up again for the Rock after scoring a goal with two assists on eight shots in his debut against Rochester last weekend. This year’s Stealth team has fought a lot of adversity, from a slow start to Lewis Ratcliff’s retirement to the acquisition of Schuss. The mark of a good team is one who can overcome those troubles, but the Stealth just haven’t done that. Losers of their last five, the hope is that they can take the lessons learned from their first loss to the Rock and apply them to escape with a win before they travel to play New England on Sunday. Talk about how great the offense has been all you want, but the old adage still rings true that defense wins championships. Vancouver just clearly isn’t there yet. Cody Hagedorn will back up Eric Penney again, but may see some game action if the Stealth need a momentum changer or if the Rock can chase Penney from the net. He allowed 32 goals on 121 shots in the two games with Edmonton last weekend, good for a 73.5 per cent save percentage. The Stealth need to protect their netminder by allowing fewer shots; they allowed an inexcusable 20 in their home opener against Toronto on Jan. 10. 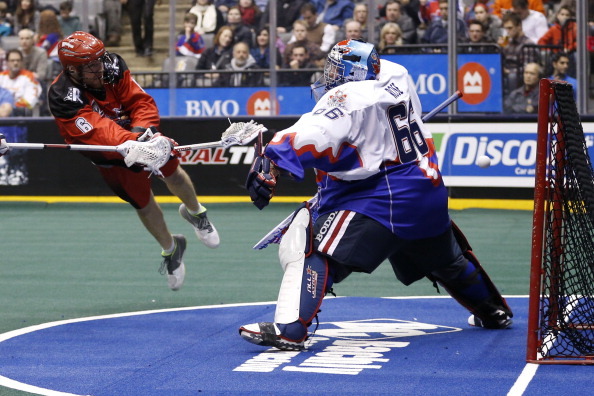 You can catch tonight’s game on NLL Live or TSN GO. Game time is 7:30 EST.